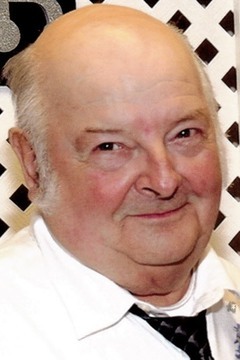 Robert (Shorty) Coleman, age 73 of California, MO, peacefully passed away July 5, 2015 at Moniteau Care Center. He was born May 14, 1942 in Moniteau County son of W.F. (Bill) and Helen (Wiser) Coleman who preceded him in death. Shorty loved his family and especially his grand kids. He loved family time and having the gang over for fish fries. He worked as a mechanic and a truck driver until his health declined. He worked for Sheriff Trucking , Byrn Wickam trucking and at last APAC. Survivors include: his wife, Aileen of the home; children Tammy Coleman, Tina (Rick) Rogers, Laurie (Micah) Porter, Robbie (Tabitha) Coleman. Grandchildren Jesse Rogers, Blake Huff, Riley Allen, Jalyn Coleman. Sister LaNell (Crowbar) Pritchard, Aunt Lafawn Mock. He was preceded in death by his parents and a brother Ronald Coleman. Memorials are suggested to the Local Food Bank or Moniteau Evangelical Cemetery.